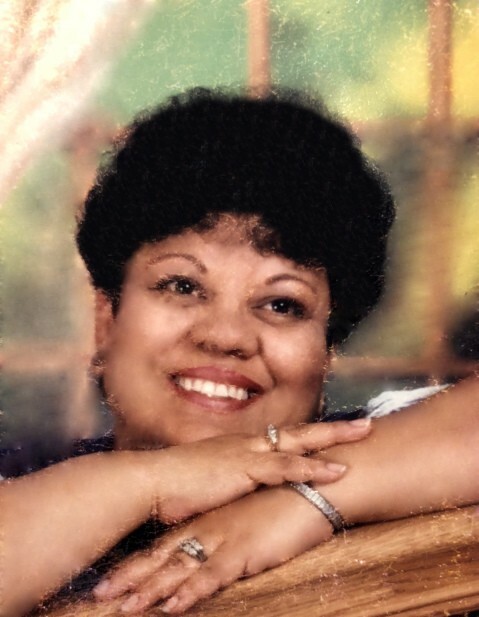 RoseMary “Coti” Salazar, 67, of S. Halagueno Street, Carlsbad, New Mexico, passed away Wednesday, September 5, 2018 at Covenant Medical Center, Lubbock, Texas. Visitation will be 3:00 PM – 7:00 PM, Monday, September 10, 2018 at Denton-Wood Funeral Home. A vigil is scheduled for 7:00 PM, Monday, September 10, 2018 at Denton-Wood Funeral Home Chapel. Mass of Christian Burial is scheduled for 2:00 PM, Tuesday, September 11, 2018 at San Jose Catholic Church with Fr. Valentine Jankowski, OFM Conv., celebrating. Interment will follow in Carlsbad Cemetery, Carlsbad, New Mexico. Denton-Wood Funeral Home is in charge of the arrangements. RoseMary “Coti” Salazar was born March 14, 1951 in Carlsbad, NM to Valente O. and Rita (Methola) Morales. She graduated from Carlsbad High School in 1970. Coti married Francisco Salazar October 7, 1972. She worked for Carlsbad Municipal Schools as a nurse’s aide before retiring after 25 years. Coti loved crocheting and cooking. Her wonderful tamales were enjoyed by countless friends and family over the years. The happiest times for Coti were spending time with her children, grandchildren and great-grandchildren. She was a devoted Catholic where she volunteered many hours. Coti was preceded in death by her parents and sister, Terry Marienlarena. Survivors are her husband, Francisco V. Salazar of Carlsbad, NM; daughters: Sonia M. Gonzalez and husband, David of Carlsbad, NM, Selena Salazar of Carlsbad, NM; sons: Saul M. Salazar and Fernando Baca of Albuquerque, NM; Sergio M. Salazar and Lacy Dorgan of Linden, Texas, Seth V. Salazar of Albuquerque, NM; grandchildren: Avida, David Jr, and Amber Gonzalez, Isaiah, Christopher and Eugene Salazar-Baca, Ashton Novin, Easton and Savannah Salazar, Monique Ortega and Daniella Morin; great grandchildren: Jeremiah and Jasper Olivo, Lalianna Zamaripa and Kehlani Kai Gonzalez; brother, Bernie Morales and wife, Carmen of Carlsbad, NM; sister, Martha Garza and husband, Julian of Carlsbad, NM. Pallbearers will be Sergio Salazar, David L. Gonzalez, Jr., Fernando Baca, Shawn C. Mansfield, John Garza and Justin Montoya.